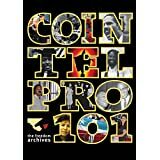 Puerto Rico was on the Road To Banana Republic, biked unabashedly forward by Carlos Cases of the PR branch of FBI, the Very Special Agent, with the subspecialty in COINTELPRO, set-ups, and frame-ups. – M.N. 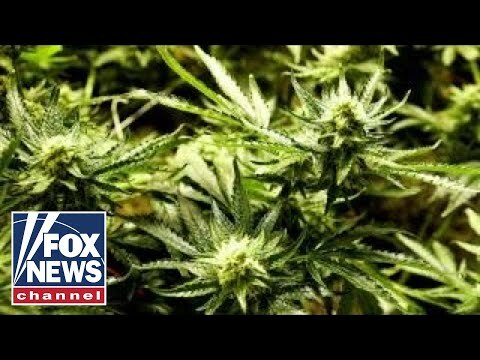 News Americas, NEW YORK, NY, Fri. May 18, 2018: As more and more countries across the Caribbean consider decriminalizing marijuana for medicinal purposes, a legislator in Trinidad and Tobago wants the twin-island Republic to follow suit.Independent Senator, Dr. Dhanayshar Mahabir, is urging the island’s government to allow the use of marijuana for medicinal purposes, saying the initiative could also help in the diversification of the economy of the oil-rich republic.Mahabir, a University of the West Indies lecturer, made the suggestion as he was debating the Finance and Appropriation Bill in the Senate on Tuesday.Mahabir said that Canadians have been tapping into this opportunity and “it was about time we step up to the plate because our oil deals will not last forever.”Last month, former health minister, Dr Fuad Khan, also called for Trinidad and Tobago to examine the possibility of decriminalizing marijuana for medicinal purposes. The post Marijuana News – Will Trinidad And Tobago Also Jump On The Marijuana Train? appeared first on Caribbean and Latin America Daily News. News Americas, NEW YORK, NY, Fri. May 25, 2018: While many nationals from the CARICOM nation of Guyana took to social media this week to express outrage over the three-year jail sentence of a poultry farmer there, who was found with 8.6 grams of marijuana, news broke that another African country has moved to legalize marijuana for medical and scientific purposes.Zimbabwe has become the second African country to legalize the herb with the country’s health minister, Dr David Parirenyatwa, stating in a government notice that individuals and businesses would now be able to apply for licenses to cultivate cannabis for medicinal or scientific use.The five-year licenses will clear also clear growers to possess, transport and sell fresh cannabis, cannabis oil, and dried product.Recreational use will remain illegal.Applicants for the licenses must submit detailed plans of their proposed production site and yield, according to the government notice published in the Harare Herald on Saturday. Individuals applying for licenses must be Zimbabwe citizens or residents or have a waiver issued by the minister.The tiny state of Lesotho issued Africa’s first license for medical marijuana production last year.Meanwhile, in Guyana, Carl Mangal could spend the next three years of his life in jail if his appeal fails while the laws there continue to penalize many for minor possession of the herb.The Alliance for Change (AFC) Party, in a statement, has once again called for an upgrade of the laws of Guyana to ensure that custodial sentences for small quantities of marijuana are removed in their entirety.AFC Member of Parliament, Michael Carrington, said that since 2015, had tabled a bill in the National Assembly for debate, but it has since been languishing on the order paper, being deferred time and time again.This as the country’s Prime Minister, Moses Nagamootoo, was quoted as saying that he believes marijuana penalty laws must be reviewed to address the number of young people being locked up.“I share the view that Guyana should review sentencing guidelines, and liberalize laws that make custodial sentencing mandatory for small quantities of marijuana,” Nagamootoo stated. “Too many of our young people are in jail as the law, as is, provides for imprisonment for quantities above 5 grams and does not give magistrates a discretion.” The post Marijuana News – While Guyana Punishes, Africa Legalizes appeared first on Caribbean and Latin America Daily News. News Americas, MIAMI, FL, Fri. June 1, 2018: As Caribbean nations continue to focus on legalizing medical marijuana in the region, financing for loans to grow and funding for commercial buildings has become a top priority.To cater to this need, Invest Caribbean Now, the global private sector investment agency of the Caribbean, is now offering the option of loans on land deals and commercial real estate properties to qualified medical marijuana entrepreneurs in countries where the herb is legal.Each loan from ICN’s private funding network will be determined on a case by case basis, based largely on the strength of borrower and liquid collateral. The loan size is from US 1 Million to $50+ Million and loan to value is up to 60 percent with flexible loan terms up to 5 years.Whether you’re looking to fund a grow operation or a dispensary, there are lending and financing options now available to Caribbean nationals too.For more information contact investcaribbeannow.com/contact.html The post Medical Marijuana Real Estate Loans Now Available In The Caribbean appeared first on Caribbean and Latin America Daily News. A special Latino Rebels Radio. The government of Puerto Rico has not made any public data of 2017 mortality statistics since the first week of January. News Americas, WASHINGTON, D.C., Weds. 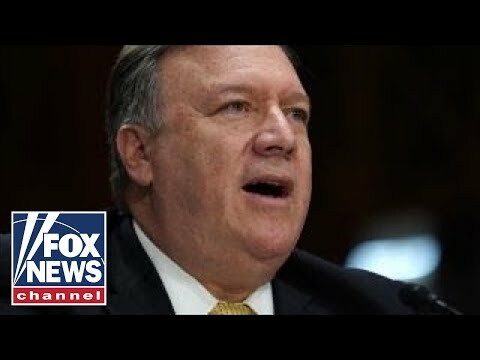 May 30, 2018: The U.S. State Department on Tuesday said Rastafarians in some Caribbean countries are still facing varied forms of discrimination.In its latest ‘International Religious Freedom Report for 2017,’ the US government said that Rastafarians claim they continue to face various forms of social discrimination in Barbados, Dominica, Jamaica, St. Kitts & Nevis, St. Lucia and St. Vincent & the Grenadines.In Barbados in March, unknown individuals spray-painted anti-Semitic epithets on the walls of a synagogue in Bridgetown while members of the Rastafarian community said police and immigration officials in Dominica continued to subject them to scrutiny because of the community’s use of marijuana for religious rituals.In Jamaica, Rastafarians said that while acceptance of their views and practices continued to improve markedly, incidents of discrimination and profiling by police continued to occur. In St. Kitts & Nevis, police harassment of Rastafarians and the mandatory cutting of dreadlocks while in prison continued while others said they continued to face societal discrimination, including when seeking employment. Rastafarians in St. Lucia stated they continued to face discrimination in the school system because the Ministry of Education required vaccinations for all children attending school while those in St. Vincent & the Grenadines stated they continued to face societal discrimination because of their religious practices, in particular their use of marijuana.But the report also said societal attitudes regarding Rastafarianism continued to become more positive with those in Dominica even reporting that the number of police stops and searches of Rastafarians had declined.The annual report to Congress on International Religious Freedom describes the status of religious freedom in every country globally and covers government policies violating religious belief and practices of groups, religious denominations and individuals and U.S. policies to promote religious freedom around the world. The post U.S. Says Rastas Face Discrimination In These Caribbean Countries appeared first on Caribbean and Latin America Daily News. The post Trump Proclaims June National Caribbean-American Heritage Month appeared first on Caribbean and Latin America Daily News. 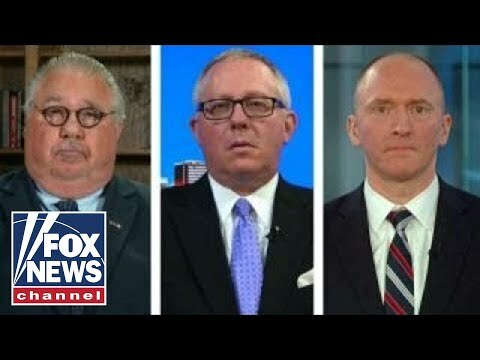 News Americas, NEW YORK, NY, Tues. June 5, 2018: Guatemala’s President Jimmy Morales has declared three days of national mourning as the death toll from the Fuego volcano was put at near 62.Mirna Celedon, spokeswoman for Guatemala’s Institute of Forensic Sciences, says the death toll is at least 62, according to CNN and keeps rising even as more hazards threaten grieving residents. Israel said Monday it is sending an immediate emergency aid to Guatemala, including medicine & food, following the lethal Fuego volcanic eruption.The Fuego volcano erupted Sunday, spewing a river of lava and plumes of smoke almost 6 miles into the air. 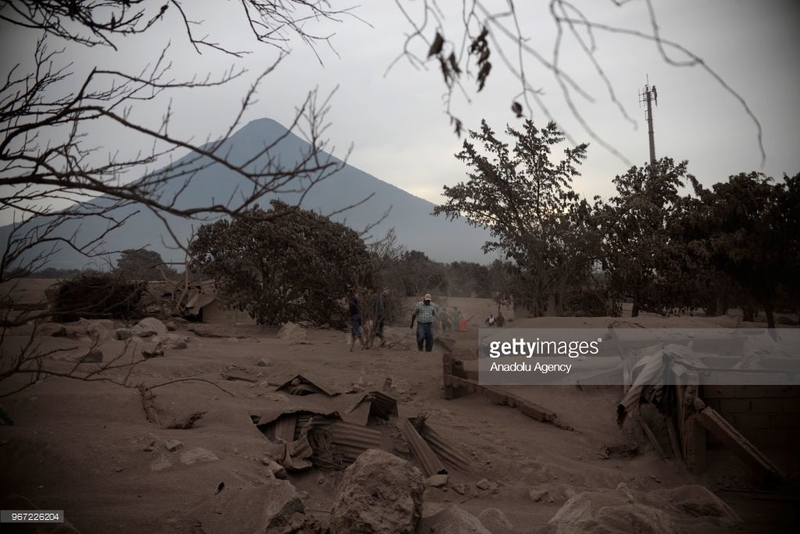 Thirteen of the dead have been identified so far even as more than 3,100 people were evacuated and an unknown number of people remained missing.At least 15 people were hospitalized, including 12 children – some of whom suffered severe burns, the nation’s health ministry said.The Fuego Volcano erupted around noon local time Sunday and lava began flowing outward in the afternoon, according to CONRED, the government agency for disaster reduction.According to a CONRED preliminary report, the eruption is “the strongest one recorded in recent years” and about 1.7 million people have been affected.The civil aviation authority of Guatemala announced the temporary closure of operations at the Guatemala City’s international airport due to the presence of volcanic ash. 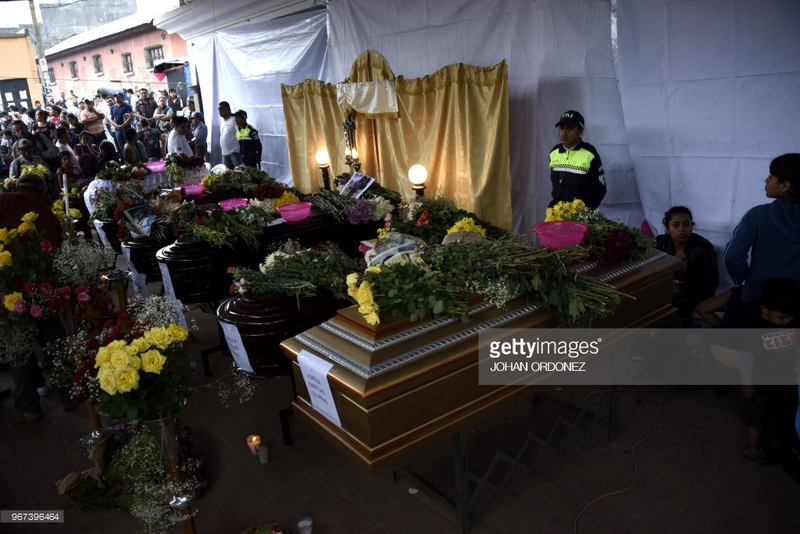 The post Guatemala Declares Three Days Of Mourning As Death Toll From Volcano Moves Closer To 62appeared first on Caribbean and Latin America Daily News. Rescuers in Guatemala are trying to reach remote areas after the Fuego volcano destroyed villages and killed at least 65 people. The explosion caused thousands of residents to flee and left hundreds injured. 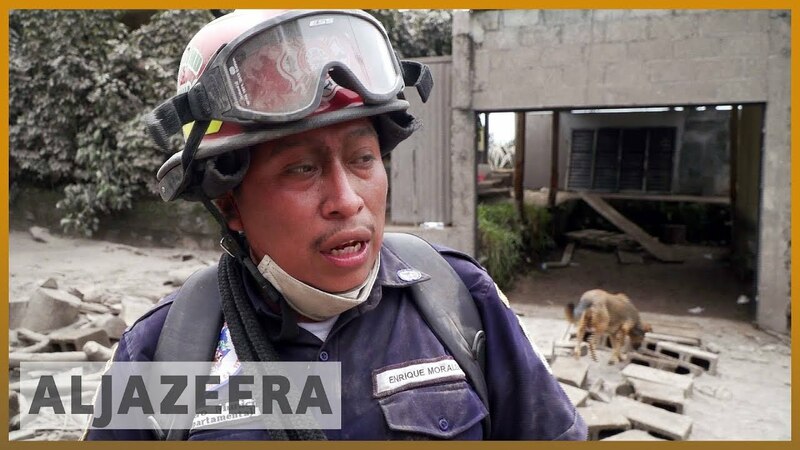 Al Jazeera’s David Mercer reports from Sacatepequez, Guatemala. mikenova shared this story from The FBI’s Watergate – WSJ – Google News. The federal Department of Justice and the federal prosecutor’s office on the island announced the assignment of 311 new prosecutors throughout the United States, of which six new prosecutors will be for the district of Puerto Rico. According to a press release, five of the new prosecutors on the island will work in violent crimes, particularly against the distribution of opioids and one will be for the civil division. The announcement comes on the 500th day of the administration of President Donald Trump. It is indicated that it is the largest fiscal allocation in the past. Of the 311 prosecutors, 190 will work in criminal cases, 35 in immigration cases and 86 in civil cases. 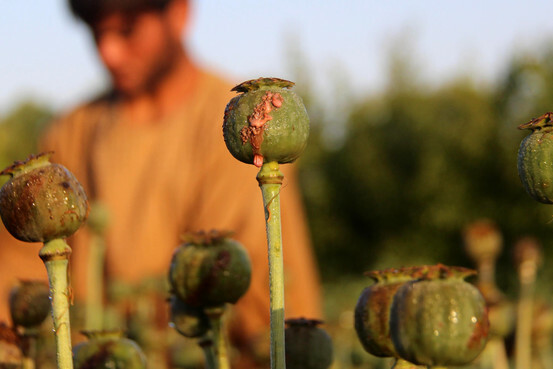 Many of these will assist in the recently created initiative “Prescription Interdiction & Litigation Task Force”, to work with the opium crisis that crosses the United States. The federal prosecutor, Rosa Emilia Rodriguez thanked the US Attorney General, Jeff Sessions, for the assignment of the six new prosecutors. I have noted that with the assignment of the new six prosecutors, the federal Department of Justice has recognized the significance of the problem of violent crimes on the island. “They have also shown great confidence in our office by assigning these valuable resources to where they are desperately needed and greatly appreciated,” Rodriguez said. Six of the eight murders investigated by the police between 5:17 pm Friday and 7:10 pm yesterday were staged in San Juan, where 61 of the 285 violent deaths reported in the country had occurred since the year began. Half of the murders occurred at dawn, among them a couple of ambassadors who slept under the bridge of PR-181 and José de Diego Avenue, in Río Piedras. The victims were lying down at about 4:00 am and from a car they were shot with a burst of more than 20 shots with an assault rifle. The woman was known as “La Shorty” and the individual as “Cagüitas”. Lieutenant Joshua Velez, director of the Division of Homicide of the Criminal Investigation Corps (CIC) of San Juan, said that the couple was known in the place by nicknames and that they will be investigated in order to identify them. The agents sought to obtain the recordings of various security cameras at that intersection, in order to identify the vehicle from which it was fired and its occupants. While at 2:09 in the morning, a person identified as Boulding Colas, 32 years old, and a native of Haiti, but who had his address on 5th Street in Barrio Obrero, was shot to death. Según la Policía, la víctima compartía con amistades en un negocio en la avenida Borinquen y salió a la acera al recibir una llamada telefónica. Afuera lo aguardaban sicarios que le dispararon más de 20 tiros, matándolo en el acto. El haitiano se encontraba viviendo en Puerto Rico sin permiso de las autoridades de migración. De otro lado, a las 7:10 de la mañana del domingo y a orillas del ramal de la PR-176 a pasos del residencial Los Laureles, en Cupey, fue asesinado un joven. La víctima presentaba múltiples balazos y en la escena se levantaron casquillos de rifle de asalto y pistola. En los últimos días se han registrado otras muertes en Cupey, de las cuales dos se produjeron a las 8:19 de la noche del viernes en la cancha del residencial Alturas de Cupey. Los jóvenes Juan Luis Cruz Pérez, de 25 años, y Kevin Cotto, de 22 años, era vecinos del residencial Jardines de Cupey. Los jóvenes estaban comiendo de una lata de salchichas, ocupada en la escena, cuando llegaron los sicarios y dispararon en cerca de 30 ocasiones con un rifle de asalto y una pistola. Cruz Pérez fue fichado en el 2017 por un caso de posesión de un vehículo hurtado. El miércoles en la avenida Cupey Garden en la urbanización la Rosa en Cupey también fue asesinado Ángel Vega Rivera, de 31 años. La Policía no descartó que las cuatro muertes en Cupey guarden relación. On the other hand, at 2:19 AM yesterday, Miguel Ángel Rivera Molina, 24, was shot in Azucena Street, in front of the E-21 residence of the Jardines de Dorado urbanization, in Dorado. A family member took him to the Diagnosis and Treatment Center (CDT) and was pronounced dead. Rivera Molina had bullet wounds in various parts of the body, and he was seized with a Glock gun, model 22, caliber .40. The first of the weekend killings was recorded at 5:17 pm Friday afternoon on Toa Alta Heights Avenue. Sicarios shot Javier “El Burro” Pérez Velázquez, 25, who was passing by in a gray Mitsubishi Lancer. mikenova shared this story from Judge Manuel Acevedo-Hernandez – Google News. mikenova shared this story from Indian Country Media Network. History is written by the conquerors. The Native peoples of North America know this all too well, as they are still trying to bring the truth to light. Now, their long-lost Caribbean cousins are beginning the same process. Most Puerto Ricans know, or think they know, their ethnic and racial history: a blending of Taino(Indian), Spanish and African. Students of the islands’ past have read the same account for over 300 years; that the Native people, and their societies, were killed off by the Spanish invaders by the 1600s. It was always noted though, how many of the original colonists married Taino women or had Taino concubines, producing the original mestizaje (mixture) that, when blended with African, would produce Puerto Ricans. Those first unions, according to the conventional wisdom, explain why some Puerto Ricans have “a little bit” of Native heritage. Mainly we are Spanish, we are told, with a little African blood and far-away Taino ancestry. But the order of that sequence will have to change. Dr. Juan Martinez-Cruzado, a geneticist from the University of Puerto Rico Mayaguez who designed an island-wide DNA survey, released the final numbers and analysis of the project in 2003, and these results tell a different story. “There has been an under-estimation of the Amerindian heritage of Puerto Rico, much larger than most historians will admit,” he said. Martinez-Cruzado cited the historical descriptions of life in Puerto Rico during the 17th and 18th centuries as an example. Martinez-Cruzado noted how many customs and history were handed down through oral tradition. To this day on the island, there are many people who use medicinal plants and farming methods that come directly from the Tainos. This is especially true of the areas once known as Indieras, or Indian Zones. He also pointed out that most of these Native traditions probably do come from the Tainos, the Native people who appeared on the island circa 700 AD. But there were other waves of migrations to Puerto Rico and the entire Caribbean area. Through the extensive study of the Puerto Rican samples, Martinez-Cruzado and his team have found connections between island residents and Native peoples who arrived before and after the Tainos. He pointed out how a few of the samples can be traced back 9,000 years from ancient migrations, while others correspond to the genetic makeup of Native peoples of the Yucatan, Hispaniola, Margarita Island and Brazil among others. These latter genetic trails point to the presence of other Native peoples who were probably brought to the island as slaves from other Spanish or Portuguese colonies after the 1600s. While island scholars will have much work to do to catch up with these “new” facts, the genetic detective work for Cruzado is also far from finished. As word spread of the remarkable survey, other scholars from the Dominican Republic, Cuba and Venezuela invited the Puerto Rican scientist to present his findings. They asked him to assist in similar projects in their respective countries. In 2005, Martinez-Cruzado along with others released Reconstructing the population history of Puerto Rico by means of mtDNA phylogeographic analysis. 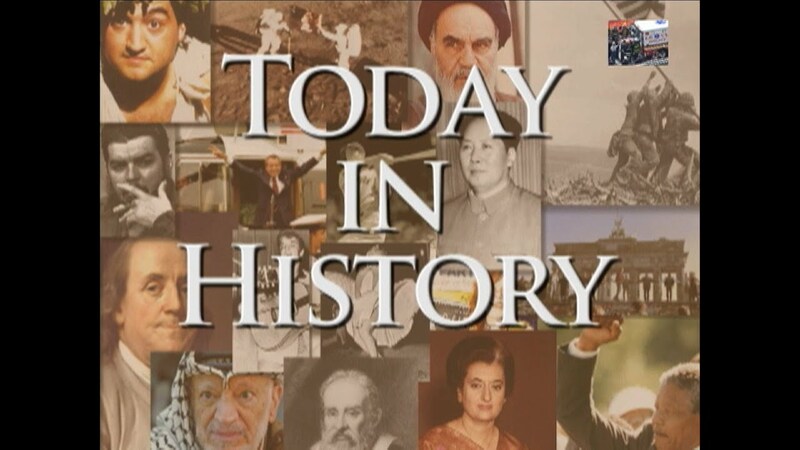 This story was originally published October 6, 2003. 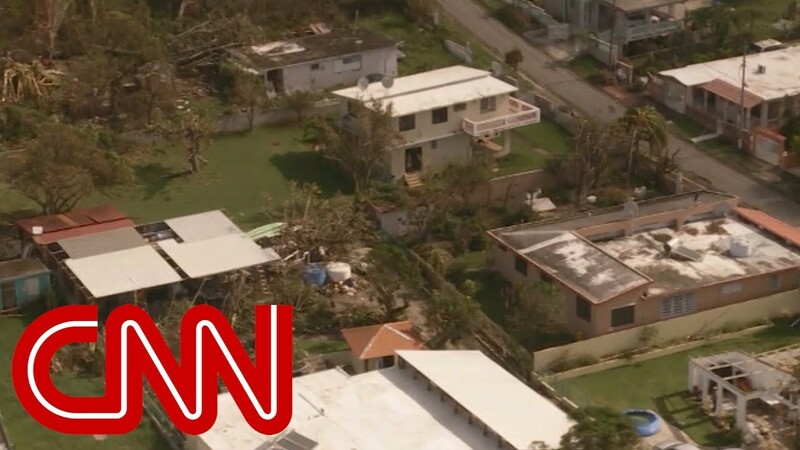 Orlando, Florida – A devastating storm hit Puerto Rico, leaving it adrift, and it was not Hurricane Maria. Those winds combined and, over several years, they aligned to generate a whirlwind that put the Island on its knees. 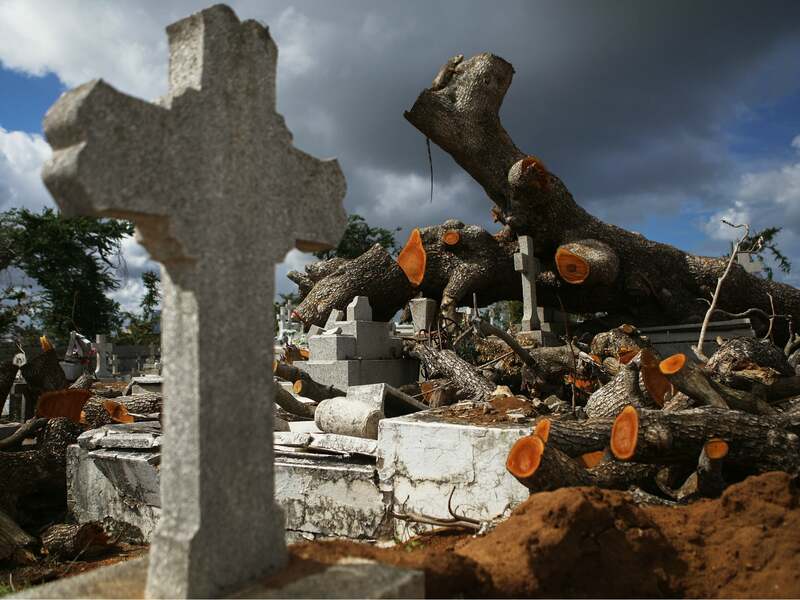 Those gusty winds have been blowing for more than 10 years, and they have taken with them hundreds of thousands of Puerto Ricans who have flown to other places, they have destroyed businesses and halted the economic growth of the island. However, something remained: the hope of restoring Puerto Rico and drawing a new island on the blanck canvas left by this crisis. Two economists and a social scientist are the authors of the book “Population, Migration, and Socioeconomic Outcomes among Island and Mainland Puerto Ricans: La Crisis Boricua” which was published at the end of 2017 and comes to light at a time when the island is going through a historic turning point. Economist Marie T. Mora, native of New Mexico; economist Alberto Dávila, a native of Texas, and the sociologist Havidán Rodríguez, who is from Arecibo, witnessed how what would have been a chapter for an study on the migratory and socioeconomic situation of the island became, little by little, an extensive and detailed book that explains the factors that led Puerto Rico to the current crisis. The authors’ analysis is supported by substantial data, an element that is often scarce in the debates regarding athe Puerto Rican crisis. The book went to press a few days before the hurricane devastated the island. Thus, the nightmarish picture painted by the authors is based on a pre-cyclonic scenario. It is a fact that the economic, social and migratory situation became more serious after María, the authors agreed in separate interviews. The book shows important findings: that one out of every four Puerto Ricans who have emigrated to the United States continues to live under poverty levels; contrary to what has been reported, most of those who have left are not skilled or profesional. However, this sector has been joining the current migration wave as the crisis worsened. Also, that between 2006 and 2014, about 215,000 Puerto Ricans returned to Puerto Rico, but during the same period 445,536 Puerto Ricans left the island, and that the current crisis has not only increased migration, but also dispersed the Puerto Rican diaspora in a score of states, beyond the traditional destinations such as New York, Pennsylvania and New Jersey, among others. According to the authors the net number of emigrants is higher if the period between 2002 and 2016 is considered: 646,932 people (16.5 percent of the population). This figure, they say, represents the greatest population loss since 1898, when the island became a territory of the United States. The book also highlights that women emigrate more than men; that the educational issue is one of the factors Puerto Ricans consider when deciding where to emigrate; that there is a high tendency among Puerto Ricans to open businesses in the United States, and that in Puerto Rico the population is aging fast, not only because of the low birth rate, but because young people are leaving the island. 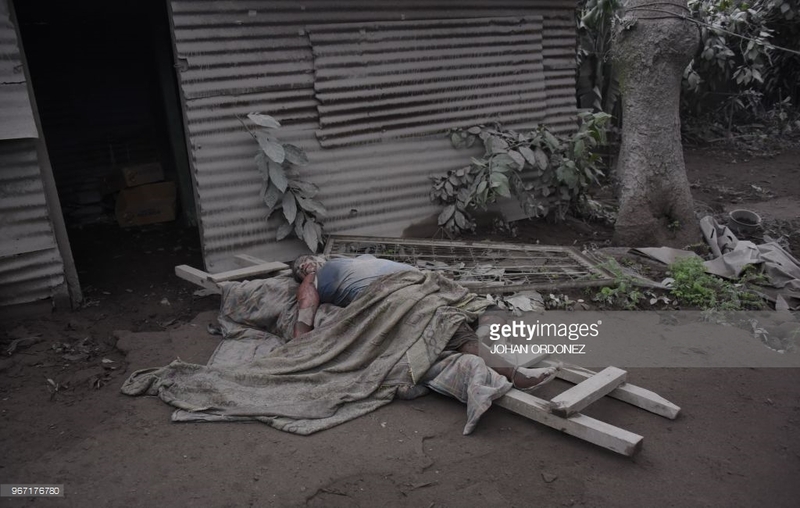 Like an instant photo, they portray the humanitarian crisis that was forged for years, specifically from 2006, when all the ingredients for that “perfect storm” were together. Many had been predicting that storm for years. They were factors that changed the demographic and socioeconomic scenario of the Puerto Ricans on both sides of the sea. These factors include the imposition of a Tax on Sales and Use (SUT), an element that, far from helping, impoverished the working class; the end of Section 936 – which provided tax incentives to companies that settled on the island, that caused the closure of companies that fled looking for more competitive markets. Other factors are the furlough plan for the government, the high cost of electricity, the collapse in the housing market, the loss of bank assets, the general deterioration in infrastructure, problems in the education system and poor healthcare services. This last one due to the gradual loss of doctors and specialists, many of whom have also left the island. Its effects affect not only the 3.3 million Puerto Ricans on the island, but it has implications for the more than five million residing in the United States who face the responsibility to speak for Puerto Rico and for those who live there. “As part of this reserach, we made several trips to the island, and, in my case, they were not only professional trips, but emotional as well, I visited the places where I grew up, studied and worked,” said Rodriguez, president of the University of Albany. , in New York (SUNY). “The problems of Puerto Rico did not develop overnight, and they increased with economic and political changes. What we did was trying to put a bandage on the wound without looking at the reasons that led to that crisis, “said the sociologist. “The book does not really discover anything new. It puts in context, and with data, the reasons that tooks us here,” he reiterated. Rodriguez said that with the book -which, far from being technical and sophisticated, is simple and easy to understand-, they seek to provoke a multisectoral discussion, to create a kind of permanent forum on the island and abroad to reach concrete strategies that improve the economic and labor situation and stop the current migratory pattern. The book highlights the potential of Puerto Ricans in the United States as a force that, if it goes out to vote, will influence the decisions of congress members that may affect the island, said Mora. It is a power that residents do not have on the island and that they acquire just by moving, she said. 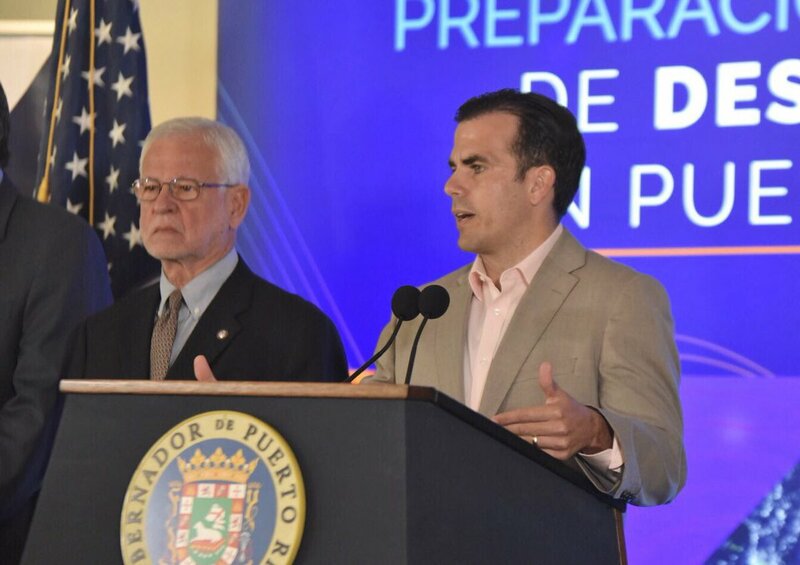 All that along with proposals to strengthen the work sector, emerge as some of the alternatives that Puerto Rico must look at even when the scope of action of the government is limited to the prerogatives of the Oversight Board, created by Congress under PROMESA federal Law. 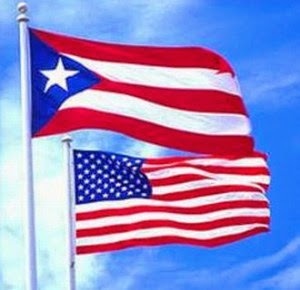 “Unfortunately, it does not look like things will improve, and if migration continues, and the island’s aging cycle continues, it will be much worse,” said the labor economist, commenting on a study that indicates that it will not be until the end of 2034 that Puerto Rico will show symptoms of improvement, and if they did occur they would be similar to those that existed in 2006. 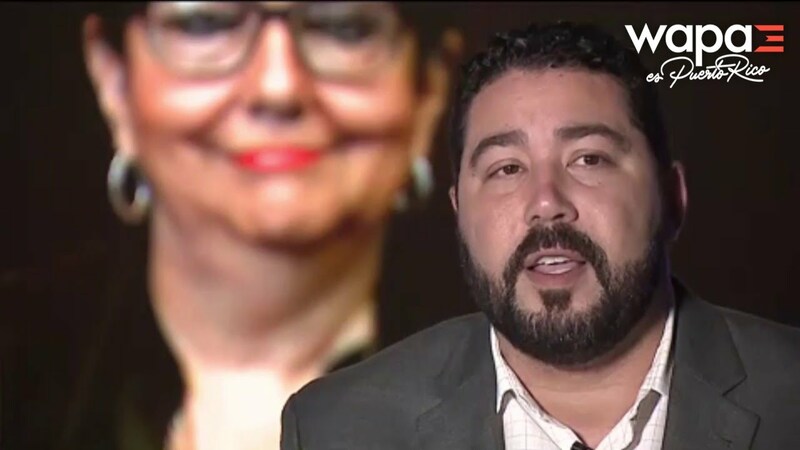 Mora said that one of the challenges of Puerto Rico is to implement a model of socioeconomic development at a time when the Board is the one that has the authority over fiscal matters. “It is not in the hands of the government of Puerto Rico. Meanwhile, the Board does not have to account for what it does. I believe that, in the end, Congress will be responsible for what happens on the island, and that is why Puerto Ricans in the United States have to mobilize and take advantage of the fact that they can vote and that they have representation, especially in Florida, which is a swing state that can decide on the election result. Without the above, the people of the island will not have a voice, ” she said. Have you been called by representatives of the government of Puerto Rico to discuss the findings of this book? “El Nuevo Día asked. “No, and that has been a surprise. But we hope that happens and we are available and very happy to be able to make a presentation, “said the professor at the University of Texas Rio Grande Valley. In the discussion about the search for solutions to the crisis of the island, there is a lack of historical analysis of the causes that led to this socioeconomic trap, Rodríguez and Mora agreed. “The risk of not reviewing what happened, of not analyzing the things that happened, is high. If we do not know where the symptoms came from, how are we going to treat the disease? And that is what happens, that we are treating the symptoms without thinking in the long term, without knowing the impact that decisions will have, without looking at social, economic or political aspects, “said Rodríguez. “Looking at this from outside the island, people do not seem to be discussing the real problems. And if we do not analyze the elements that led to this crisis, the island could repeat them, “Mora added. Alberto Dávila, an economist and co-author of the book, is from the school that thinks that the crisis in Puerto Rico is not permanent and that natural market forces will correct or reverse by themselves. “I think that the same market forces will make Puerto Ricans in the United States begin to return to the island and there will be a natural rebirth. Any intervention in that process could have unexpected and not necessarily good consequences, “said the Associate Dean of the University of Texas Rio Grande Valley. 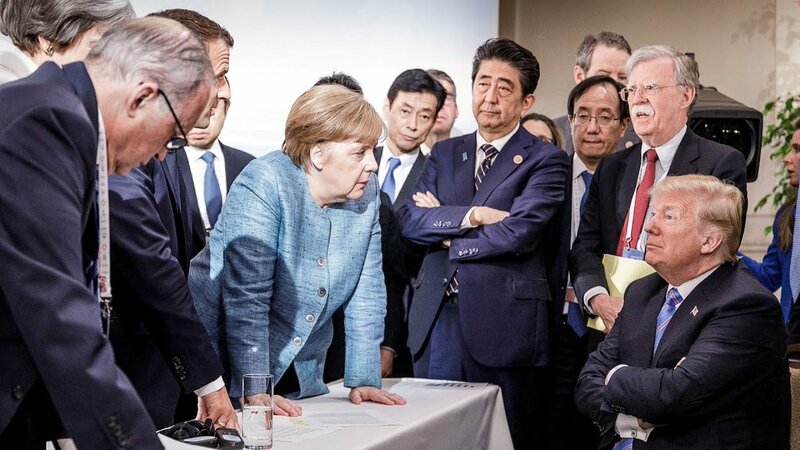 “Look at the case of Japan and Germany after the Second World War. They were at the bottom of the crisis. Economic models indicate that when an economy is at the bottom, then it tends to recover and rise quickly. Being at the bottom and staying there is not consistent with economic theories. There is light at the end of the tunnel, and there is light because in the case of Puerto Rico, we are already at the end of that tunnel, “he said. Even though one of the reasons for the US Justice Department to place the Puerto Rico Police Department under receivership was to avoid the fabrication of cases by agents to process citizens illegally, a series of rulings from the US District Court of Puerto Rico reveal that the federal prosecution has occasionally used police officers who lied to process people illicitly. In the cases identified by NotiCel, the perjury or “inconceivable” testimony issued by the police officers has not prompted the withdrawal of these cases, nor has it resulted in the indictment of these agents for lying or deceiving the prosecutors. Furthermore, the US Attorney’s Office for the District Puerto Rico has also been the object of severe reproach on behalf of the judges in the Court of Appeals in Boston, due to their improper conduct in infringing upon the constitutional rights of the accused. “When our office manages criminal cases, it is subject to hundreds of court rulings a year, which we must respect and follow. Selecting decisions based simply on the court’s review of certain specific cases does not in any way represent the history of convictions obtained in court by our prosecutors,” said Rodríguez Vélez, who used to be a state prosecutor before becoming a federal prosecutor. But the questionable conduct incurred by the prosecutors is far from being an isolated case. At the very least, all four of the magistrates serving in the US District Court of Puerto Rico—as well as one judge and a panel of appellate judges—have pointed out veracity issues in the testimonies used by the prosecution, as well as inappropriate conduct on behalf of these prosecutors. Overall, the judicial statements show that there are instances where constitutional rights have been violated within the most powerful criminal investigation agency in the island. They also highlight that the federal prosecution in the island has spent 20 of the last 24 years in overseeing people who have not undergone the regular process of presidential appointment and approval by the US Senate. Instead, the federal heads of prosecution have stayed in power by the sheer decision power of the district judges, who have not taken any evident action in spite of the long record of excesses against the federal prosecution. 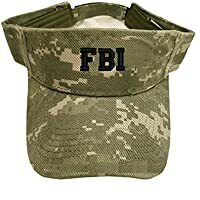 After an individual is arrested by federal agents, they appear in court, and that is the first turn for the defense attorneys to challenge the evidence, which usually consists of accounts offered by agents of the Puerto Rico Police Department and items seized through search warrants. NotiCel has compiled court rulings that, at least since 2015, raise red flags regarding misleading statements issued by police officers. Aside from these statements regarding the use of less-than-truthful testimonies from police officers, the prosecution has also been criticized for actions that have been deemed unethical, such as improper expressions made to the juries. This year, in a case that, against all odds, was resolved in favor of the prosecution, Judge Sandra Lynch of the First Circuit Court of Appeals in Boston issued some clear and strong-worded opinions about this pattern of conduct. “You have a series of highly experienced judges who have spent decades dealing with Puerto Rico’s cases, and the inappropriate arguments from the federal prosecution and the Puerto Rico Department of Justice is a recurring issue. So seeing you stand there and say, ‘No, we are not admitting it was a mistake’ makes us even more concerned about the inappropriate conduct on behalf of the office you represent,” Lynch told the attorney defending the federal prosecution in the hearing. “We have cases that for 20, 30 years have made this argument time and time and time again,” she emphasized. The seriousness of these remarks gains even more prominence when taking into account that what is under review is the actions of the most powerful law and order agency in Puerto Rico. “The strongest and most affluent, powerful, and sophisticated law and order agency in the history of humanity is the government of the United States, it is the US Attorney’s Office. If you compare that with what’s happening in terms of finances at the local government level, with the local police, there’s just no comparison,” remarked Eric Vos, Chief Federal Public Defender. His office is tasked with advocating for federal defendants who, in 90% of cases, prove they are destitute and cannot afford their own private defense. One of these defendants was Francisco (name changed to protect identity), who was accused of trafficking drugs and firearms based on the testimony provided by a police officer. Through scientific evidence, it was proved that the police officer’s cell phone signal was coming from a different municipality than the one he had allegedly been when compiling evidence to arrest Francisco. Although Francisco’s attorneys were able to accurately strike down the police officer’s testimony with this evidence, the man decided to plead guilty, because the prosecution, instead of withdrawing the case and releasing him, opted to carry on, all the while making him an irresistible offer in exchange for pleading guilty. “In federal law, if you go to trial and are found guilty, what the judge says is what goes. Sad to say, but the amount of years I was going down for was not reasonable. I had to compromise and plead guilty to be able to go on probation,” the man said in an interview with NotiCel. The American Civil Liberties Union (ACLU) was one of the groups promoting federal action, and they find it contradictory that US Justice Department is upholding the Police Reform on one side, while also using false testimonies from police officers to process their criminal cases. “If the federal prosecution decides to ignore this situation, it creates an environment of impunity within the Police Department. 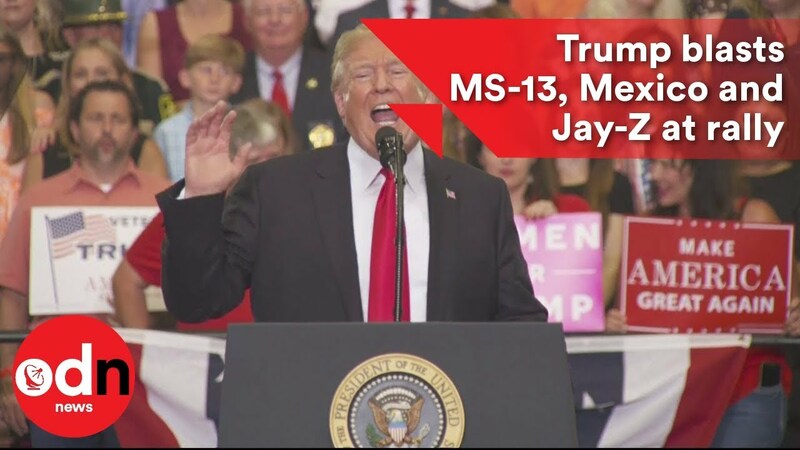 It generates mistrust among the population, which will have immense consequences in the due process of law for those that have been accused and are liable to serve their sentences illegally,” responded ACLU attorney Josué González. “The federal prosecution in Puerto Rico should be very careful when processing criminal cases. They should look closely at the accounts given by these police officers, and ensure in every possible way that they are accurate and truthful, because it could affect the freedom of a lot of people,” he concluded. *First piece of an investigative series, in partnership with the program ‘Jay y sus Rayos X’. To read the court rulings cited in the article, click on the links below. mikenova shared this story from Archyworldys. A jury determined this afternoon in the federal court of San Juan that Francisco Reyes Caparrós, federal employee and exanalyst of Intelligence of the Federal Prosecutor’s Office, was the victim of labor harassment and reprisals from 2012 to 2015 by his supervisors, including Rosa Emilia Rodríguez , who is the highest ranking federal official in Puerto Rico. Reyes Caparrós could be compensated for $ 300,000 in damages. The plaintiff, Reyes Caparrós, 38, who is now a lawyer, alleged that the pattern of actions against him forced his resignation in 2015 after almost six years of work with the federals. That same year, in September, he sued the Federal Prosecutor’s Office, and it has taken three years for the case to go to trial. DENVER, CO (WCMH) – An FBI agent is facing questioning after an accidental shooting at a Colorado distillery while he was off duty. According to KMGH, the agent was dancing around a group of people at Mile High Spirits in Denver. As he attempted a back flip, a gun fell off of his holster and onto the floor. The agent quickly scrambled to pick up the gun, but as he did so, the gun fired, hitting one person in the leg. The victim was taken to a nearby hospital and is expected to recover from his injury. The FBI agent was taken to police headquarters for questioning but has not been placed under arrest. It is unclear if the gun involved was the agent’s own gun or if it was his FBI-issued gun. The Denver District Attorney will determine whether or not criminal charges will be filed. mikenova shared this story from fbi agent backflip – Google News. A pesar de que una de las razones del Departamento de Justicia federal para poner a la Policía de Puerto Rico bajo sindicatura fue que agentes fabricaban casos para procesar ilegalmente a los ciudadanos, una serie de decisiones judiciales en el Tribunal Federal para el distrito de Puerto Rico delata que la fiscalía federal ha usado en varias ocasiones a policías que mintieron para procesar a personas ilegalmente. En los casos identificados por NotiCel, el testimonio perjuro o “increíble” de los policías no ha resultado en que los casos sean retirados ni que los agentes sean procesados por mentirle o engañar a los fiscales. Además, la oficina de Puerto Rico de la fiscalía federal también ha sido fustigada por los jueces del Tribunal de Apelaciones de Boston por conducirse de manera impropia al atentar contra los derechos constitucionales de los acusados. En respuesta a la investigación de NotiCel en alianza con el programa Jay y sus Rayos X, la jefa de fiscales, Rosa Emilia Rodríguez Vélez, minimizó los señalamientos y señaló que “[s]ería impropio de nuestra parte participar en una entrevista para comentar sobre decisiones judiciales emitidas por los magistrados y jueces de este distrito, y por los jueces del Primer Circuito”. “El manejo de casos criminales por parte de nuestra oficina es objeto de cientos de decisiones judiciales al año, las cuales es nuestro deber acatar y respetar. El seleccionar decisiones simplemente basándose en alguna crítica judicial al manejo de algún caso en específico no representa de manera alguna la trayectoria de convicciones que obtienen nuestros fiscales en los tribunales”, añadió Rodríguez Vélez, quien, antes de ser fiscal federal, fue fiscal estatal. Pero la conducta cuestionable de los fiscales está lejos de ser una aislada. Ya por lo menos cada uno de los cuatro magistrados que sirven en el Tribunal Federal para el distrito de Puerto Rico, así como un juez y un panel de jueces apelativos, ha señalado problemas de veracidad en el testimonio que usan los fiscales o de conducta impropia por parte de esos fiscales. En conjunto, las expresiones judiciales plantean que hay problemas de violación de derechos constitucionales en el aparato de investigación criminal más poderoso en la Isla. Además, ponen en relieve que, en 20 de los pasados 24 años, la fiscalía federal en la Isla ha estado a cargo de personas que no han pasado por el proceso regular de nombramiento presidencial y aprobación en el Senado federal, en vez, los jefes de fiscales federales se han mantenido en el poder por decisión de los propios jueces del distrito, quienes no han tomado cartas en el asunto de manera evidente, a pesar del ya abultado récord de excesos en contra de la fiscalía federal. Después de que una persona es arrestada por agentes federales, comparece ante un magistrado y ese es el primer turno al bate para que los abogados de defensa puedan impugnar la evidencia que, en la mayoría de los casos, consiste en testimonio de agentes de la Policía de Puerto Rico y artículos ocupados por órdenes de allanamiento. NotiCel ha recopilado decisiones judiciales que, por lo menos desde el 2015, alertan sobre las mentiras o expresiones engañosas de policías. “No puedo evitar recalcar que la Oficina del Fiscal Federal de Puerto Rico se supone que actúe en el interés público. No creo que el interés público sea servido, sin embargo, por la promoción y dependencia de parte del gobierno en perjuros y fabulistas; esto es más cierto aún cuando el perjuro es un servidor público, arropado con el prestigio del estado. Por eso es desalentador ver que el gobierno siga dando su aval a las falsedades del Agente (José) Ortiz (Merced), porque sugiere que el Agente Ortiz, y otros como él, continuarán teniendo una lección perversa: que los actos oficiales de deshonestidad no tienen consecuencias, no hay reprimenda, ni expulsión, ni procesamiento, mientras estén comprometidos con los intereses del gobierno. Esto es un triste estado de los asuntos, y uno del que el gobierno no debe enorgullecerse”. “Entonces, dado estos cronogramas, el testimonio de Ortiz, una tercera persona sin motivo alegado para ser menos que veraz, y evidencia documental confiable, el policía (Carlos R.) Torres (Anaya) no explicó esta inconsistencia o explicar cualquier desviación en el tiempo reportado en la orden de allanamiento. El tribunal, entonces, encuentra por preponderancia de la evidencia que las aseveraciones en la declaración jurada que apoya la orden de allanamiento sobre las investigaciones del 29 de mayo de 2015 fueron hechas con desprecio intencional o temerario de la verdad”. “Creerle al policía (Santiago) Aguila (Rodríguez) nos haría concluir que tiene visión “biónica”, no estaba afectado por el reflejo a esa hora en un día soleado, y que estaba en un ángulo “perfecto” y en posición privilegiada. Esto es simplemente imposible de creer. Si se necesitara más, suficiente decir que “los jueces no estamos requeridos a divorciarnos del sentido común” cuando, como aquí, la explicación es “inherentemente increíble”. “Debido a que (el policía municipal Luis) Burgos (Nieves) testificó sobre cuatro versiones conflictivas e irreconciliables sobre la manera en que recibió la información de un confidente anónimo, encuentro, por preponderancia de la evidencia, que Burgos declaró falsamente de manera intencional y a sabiendas, o, por lo menos, con grave menosprecio a la verdad, que recibió información de un confidente anónimo”. “En la medida en que los casos federales dependan incrementalmente de las acciones del personal de ley y orden local, hay aún más razones para requerir que dichos oficiales actúen en máxima concordancia con los estándares constitucionales federales. Esto requiere que en todo momento los oficiales de la policía provean testimonio veraz, así como los mismísimos mandatos de la Cuarta Enmienda. Simplemente no hay otra ruta”. Además, de estas expresiones por usar testimonio menos que veraz de parte de agentes de la Policía, la fiscalía también ha sido censurada por manejos que se entienden poco éticos, como hacerle expresiones indebidas a los jurados. Este mismo año, en un caso que a pesar de todo acabó siendo resuelto a favor de la fiscalía, la jueza Sandra Lynch, del Primer Circuito de Apelaciones en Boston, hizo expresiones fuertes y claras sobre este patrón de conducta. “Tiene a una serie de jueces muy experimentados que han visto casos de Puerto Rico por décadas ya y el problema de argumentos impropios de parte de la Fiscalía Federal y el Departamento de Justicia en Puerto Rico es un problema recurrente, y que usted se pare ahí a decir ‘no, no concedemos que fue un error’ hace que nos preocupemos aún más por la conducta impropia de la oficina que usted está representando”, le dijo Lynch a la abogada que defendió a la fiscalía federal en la vista. “Tenemos 20, 30 años de casos que plantean este punto una y otra y otra y otra vez”, recalcó. La gravedad de estos señalamientos se realza cuando se toma en cuenta que lo que se critica es la actuación del aparato de ley y orden más poderoso que existe en Puerto Rico. “El mecanismo de ley y orden más acaudalado, más poderoso, más fuerte y más sofisticado que jamás existió en la historia de la humanidad es el gobierno de los Estados Unidos, es la oficina de los fiscales federales. Si tú comparas eso con lo que está pasando económicamente con el gobierno local, con la policía local, no hay comparación”, comentó Eric Vos, jefe de la oficina del Defensor Público Federal. Su oficina está llamada a defender a los acusados federales que, en el 90% de los casos, demuestren ser indigentes y no puedan costearse una defensa. Uno de ellos fue Francisco, un nombre escogido para proteger su verdadera identidad, quien fue acusado por narcotráfico y armas de fuego por el testimonio de un policía que se probó, con evidencia científica por señal de celular, que estaba en un pueblo distinto al pueblo en el que supuestamente estaba cuando recopiló la evidencia para arrestar a Francisco. Aunque los abogados de Francisco pudieron atacar certeramente el testimonio del agente de la Policía con esta evidencia, el hombre optó por declararse culpable porque la fiscalía, en vez de retirar el caso y dejarlo libre, optó por proseguir pero, a la misma vez, le hicieron una oferta irresistible para declararse culpable. “La ley federal si te vas a juicio y sales culpable, es lo que el juez determine y lamentablemente los años que me iban a echar, no era, tuve que transar y levantar las manos culpable para entonces cogerme una probatoria”, dijo en entrevista con NotiCel. La American Civil Liberties Union, ACLU, fue uno de los grupos que impulsó la acción federal y le parece contradictorio que por un lado Justicia federal mantenga la Reforma de la Policía y, por el otro, usen testimonio falso de policías para procesar sus casos criminales. “Si la fiscalía federal opta por ignorar esta situación, pues lo que se crea es un ambiente de impunidad dentro de la Policía, de desconfianza en la población y eso tiene unas repercusiones inmensas en el debido proceso de ley de las personas encausadas que están expuestas a cumplir sentencias de manera ilegal”, reaccionó Josué González, abogado de la ACLU. “A la hora de procesar casos criminales la fiscalía federal en Puerto Rico debe ser muy cuidadosa y estudiar con mucho detenimiento los testimonios de estos policías y asegurarse de todas las maneras posibles que ese testimonio es fidedigno y que se ajusta a la verdad porque puede afectar la libertad de mucha gente”, concluyó. *Primer artículo de una serie investigativa en alianza con el programa ‘Jay y sus Rayos X’. Para examinar las decisiones judiciales presentadas en el artículo, presiones los enlaces abajo. mikenova shared this story from Wapa TV’s YouTube Videos. The Prime Minister’s Office in Jerusalem issued a statement Saturday night clearly repudiating media reports that claimed Israel and Russia had cone to terms on Iranian forces in Syria. The statement emphasized that no agreement had been reached on this matter; Israel continues to demand the total evacuation of all Iranian forces from Syria and reserves its own freedom of action in this regard. 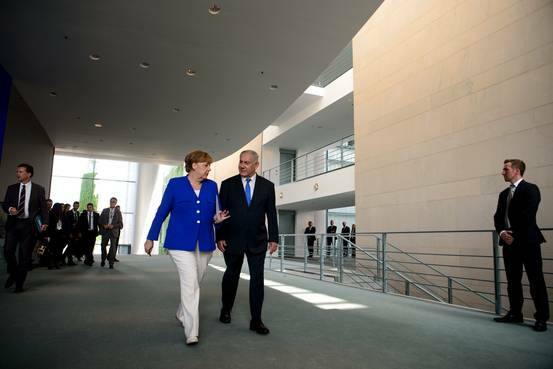 DEBKAfile’s sources reported on Thursday, after a phone conversation between Prime Minister Binyamin Netanyahu and President Vladimir Putin, that progress had been made in negotiations but nothing had been agreed. mikenova shared this story from Idalia Mestey – Google News. … de 2010 solicitara un chaleco a prueba de balas para la exfiscal federal Idalia Mestey, porque esta había recibido una amenaza de muerte. … a prueba de balas a la exfiscal Idalia Mestey, quien alegaba que temía por su vida en relación a un caso por violaciones a la Ley de Armas. … de facilitar un chaleco antibalas a Idalia Mestey Borges, una ex agente federal que alegadamente fue objeto en ese momento de amenazas. El exespecialista de inteligencia Francisco Reyes Caparrós, quien ayer ganó una demanda contra la Fiscalía federal por someterlo a un patrón de actos de represalia y hostigamiento laboral, afirmó hoy que el ambiente que se vive en esa oficina es similar a un “reino del terror”. Acusó, de paso, a la jefa de los fiscales federales, Rosa Emilia Rodríguez, así como a los fiscales federales Jaqueline Nova y José Capó de establecer el ambiente hostil que describió. Las declaraciones de Reyes Caparrós ocurrieron en una entrevista radial (Radio Isla 1320) que concedió a horas de que consiguiera que un jurado compuesto por ocho hombres y ocho mujeres determinara unánimemente que la alta jefatura de la Fiscalía federal lo sometió a un patrón de represalias y un ambiente laboral hostil, y que, por los daños emocionales que le causaron, el demandante debe ser compensado con una suma de $300,000. “El trabajo que hace la oficina es un trabajo honrado por la criminalidad. Pero como se bate el cobre entre los empleados, eso es otro cantar. Allí es el reino del terror o haces lo que yo digo o haces lo que yo digo. Allí no puedes disentir, no puedes quejarte. O te sometes, o te sometes”, precisó el abogado. Añadió que “ya es hora de un cambio de liderato en esa oficina. Ya es hora que se vayan, porque se empoderan, se creen dioses y el trabajo no es de ello, el trabajo es para el país”. Reyes Caparrós señaló que se le debe dar paso a un nuevo liderato que trate bien a los empleados. Específicamente, declaró que “tiene que venir gente nueva, con buenas visiones y que traten a los empleados (bien), porque el trabajo hay que hacerlo como quiera, pero no puede vivir el reino del terror ahí”. En sus declaraciones, el exespecialista de inteligencia llegó a decir que las reuniones que se hacen en la Fiscalía federal incluyen gritos, que Rodríguez ha llamado a los fiscales “locos” y que “es posible” que se hayan manipulado casos para lograr convicciones. “Había momentos donde se daban instrucciones de que a esta persona hay que buscar la manera de encausarla”, llegó a decir. A modo de ejemplo, alegó que Rodríguez pidió procesar a un juez estatal. “Es una aberración estar en una reunión y que dijera: ‘yo quiero un juez, tráiganme un juez’, porque ella quería un juez. Ese era el target, un juez estatal”, precisó. El periodista Rafael Lenín López le preguntó que, si esas expresiones ocurrieron antes de que se juzgara al exjuez del Tribunal de Aguadilla Manuel Acevedo Hernández, convicto en abril de 2015 por corrupción judicial, a lo que Reyes Caparrós contestó con un “sí”. Por otro lado, el abogado explicó que el patrón de hostigamiento en su contra comenzó luego que el 10 de febrero de 2010 solicitara un chaleco a prueba de balas para la exfiscal federal Idalia Mestey, porque esta había recibido una amenaza de muerte. Reyes Caparrós alegó que su acto no fue visto con buenos ojos por Rodríguez, ya que Mestey se había querellado contra la Fiscalía federal por hostigamiento sexual. “Ella entendía que yo no era leal y que yo ayudaba a ella, a Idalia, en contra de la oficina”, comentó. Dijo, sin embargo, que no se arrepiente de haber solicitado la protección contra Mestey, porque en ese momento ella atendía un caso de crímenes violentos en el que las víctimas fue un policía que recibió de 60 balazos y la hermana de un fiscal. 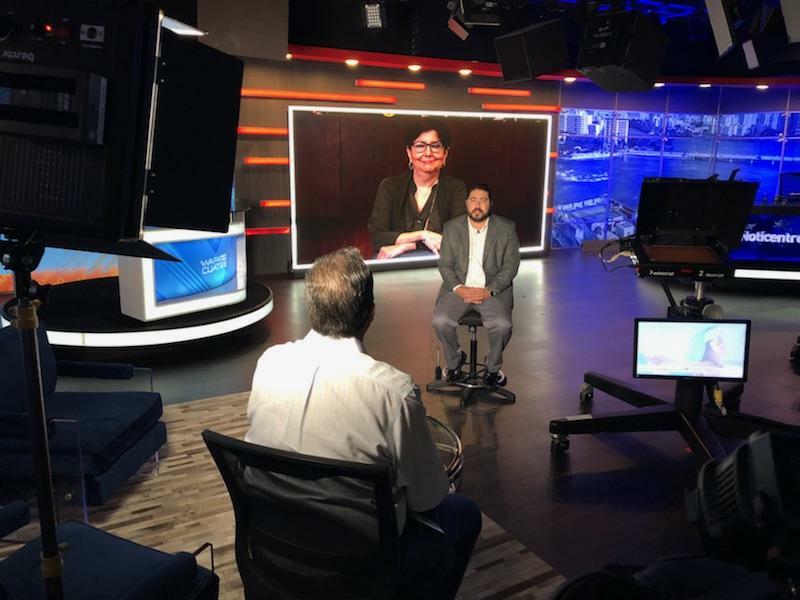 Tuesday on the NewsHour, more than 4,600 people — far more than the official toll — are believed to have died in Puerto Rico as a result of Hurricane Maria. Also: Starbucks mandates anti-bias training, ABC abruptly cancels “Roseanne,” an organization teaches skills needed to keep a job, the Trump administration’s immigration policies in context, schools and the #MeToo movement and more. 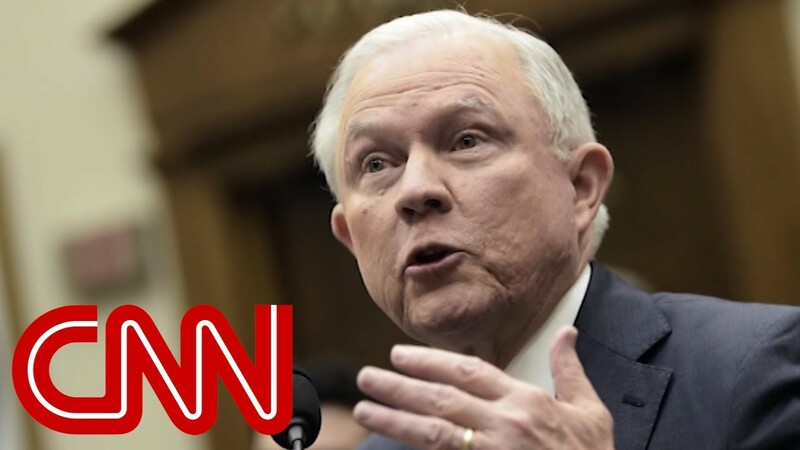 President Trump pressured Attorney General Jeff Sessions to reverse his decision to recuse himself from the oversight of the Russia investigation, according to the New York Times. 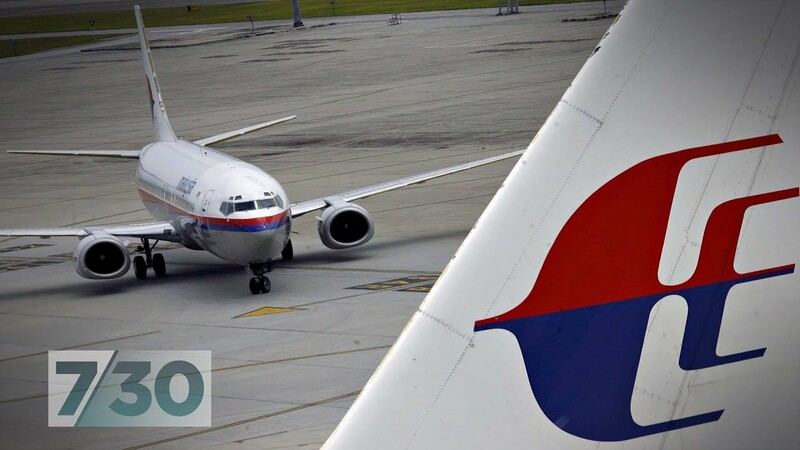 There are plenty of theories about what caused the Malaysia Airlines flight MH370 to disappear in March, 2014, yet none have come close to solving the mystery. Now the Malaysian government has announced it will not be extending the latest search in the Southern Indian Ocean … devastating news for the families of the 239 people on board, including six Australians. 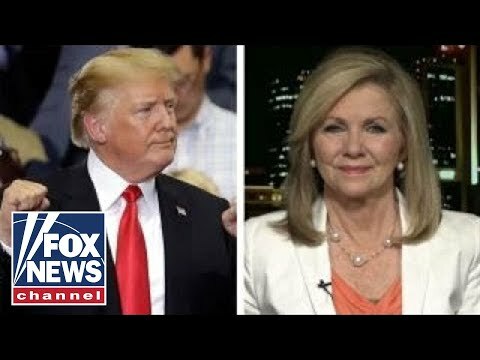 Republican congresswoman joins ‘Fox News @ Night’ to discuss running for Tennessee Senate seat with President Trump’s endorsement. 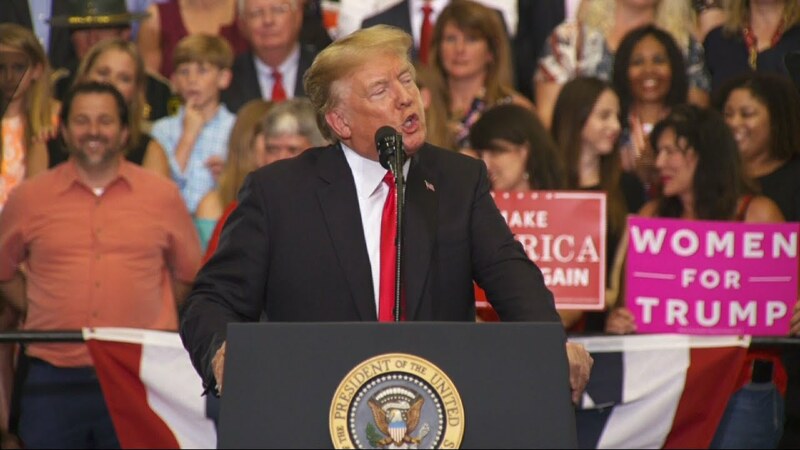 US President Donald Trump attacks Tennessee Democratic Senate candidate Phil Bredesen, as well as many others, at a rally in Nashville. Report by Louee Dessent-Jackson. 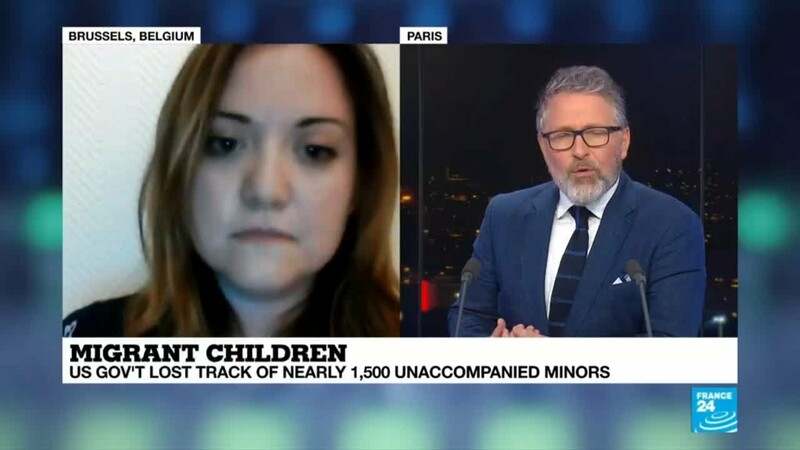 Federica TOSCANO, Head of Programme at Missing Children Europe, talks about the US losing track of 1,500 unaccompanied immigrant minors. Over its six seasons, “The Americans” has dramatized the tension between effective espionage and a happy marriage for a fictional KGB couple. For the Soviet bloc intelligence services, who regularly sent couples across the Iron Curtain as deep cover spies, this tension was more than dramatic fodder. It was a serious operational problem. To manage […]The post Secrets of a Successful Spy Marriage appeared first on War on the Rocks. Russian Foreign Minister Sergei Lavrov said on Wednesday the withdrawal of all non-Syrian forces from Syria’s southern border with IsraelThe post Lavrov: All non-Syrian forces should quit Syria’s southern border appeared first on DEBKAfile. The president also boasted that he gets bigger crowds. 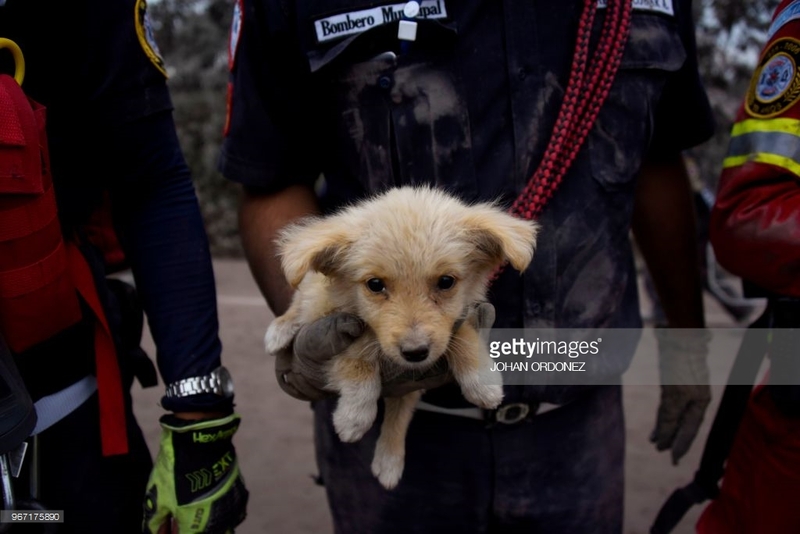 Saved Stories – The News and Times: Who Guards The Guardians Of Puerto Rico? !